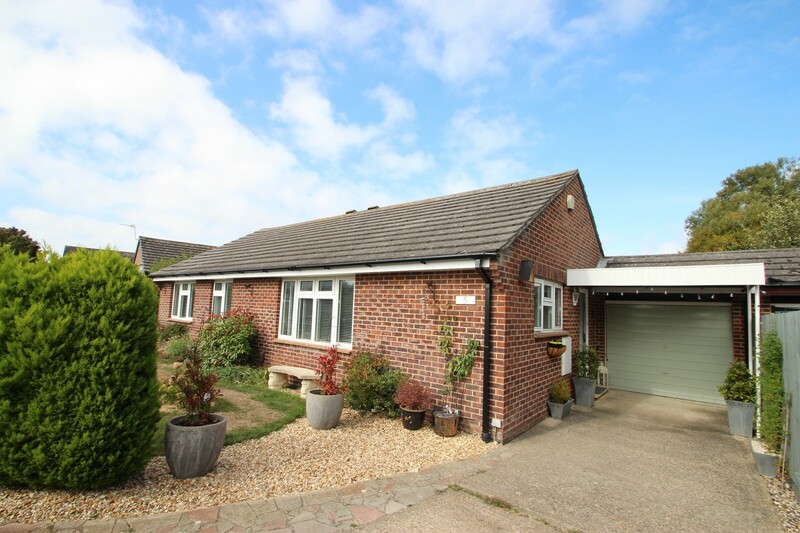 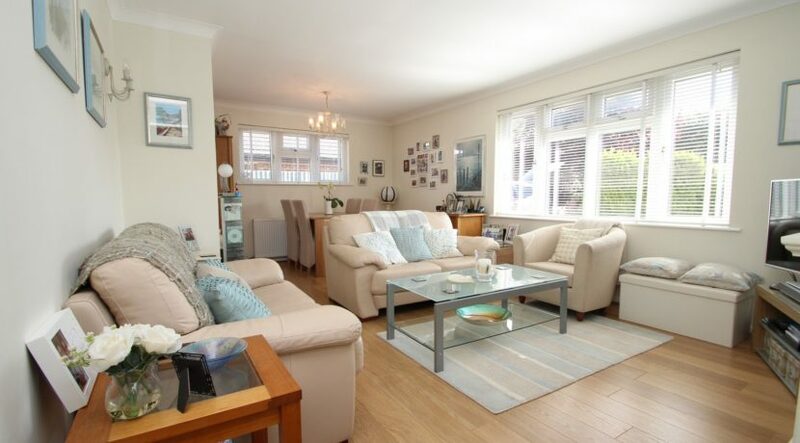 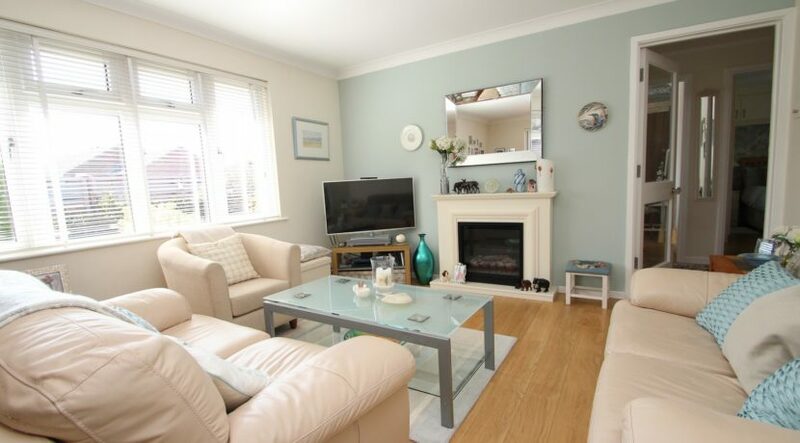 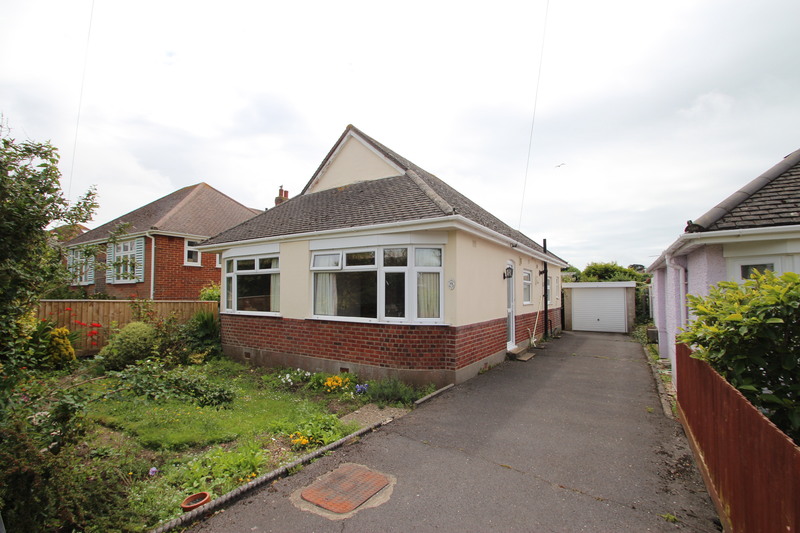 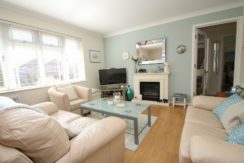 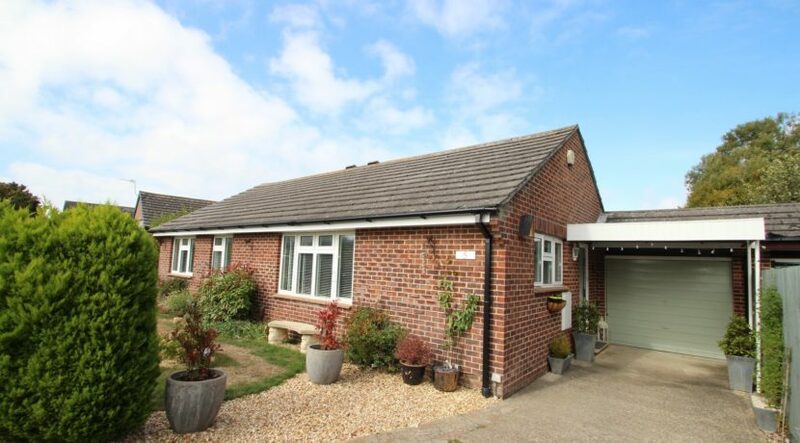 A superbly presented three bedroom detached bungalow, situated at the head of a quiet Cul-De-Sac in Mudeford, close to woodlands walks and benefitting from a stunning kitchen, good size garden, driveway & garage. 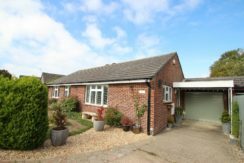 A composite front door leads from the driveway through to the hallway. 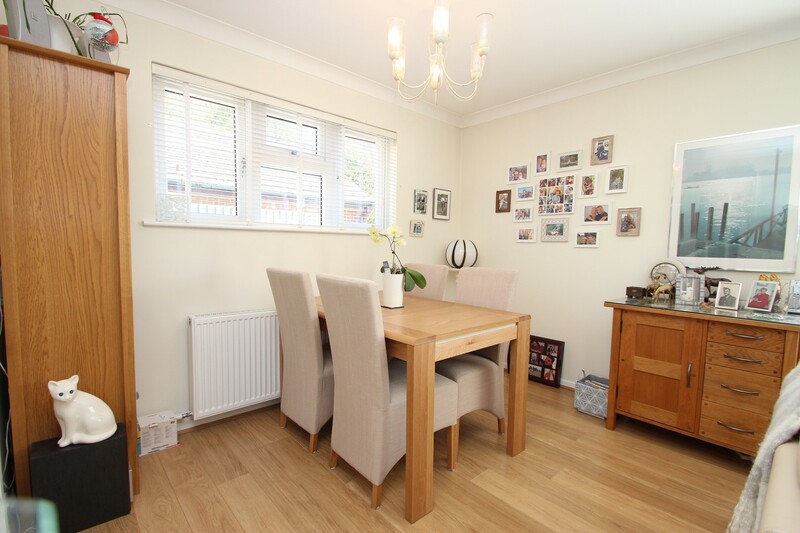 Off the hall is a good size cloaks cupboard and doors lead through to the lounge / dining room and kitchen. 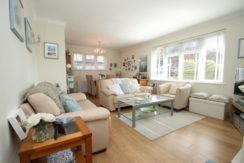 The lounge / dining room is located at the front of the bungalow and is generous in its size. 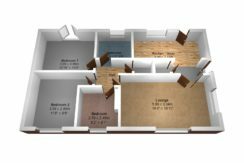 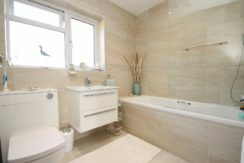 There’s a feature fireplace with an inset modern electric fire and a glazed door leading through to an inner hall with an airing cupboard that houses the combination boiler and doors leading through to the bedrooms and bathroom. 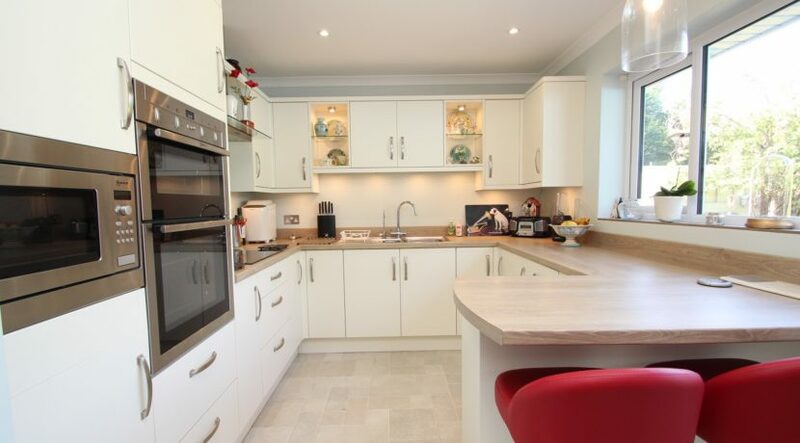 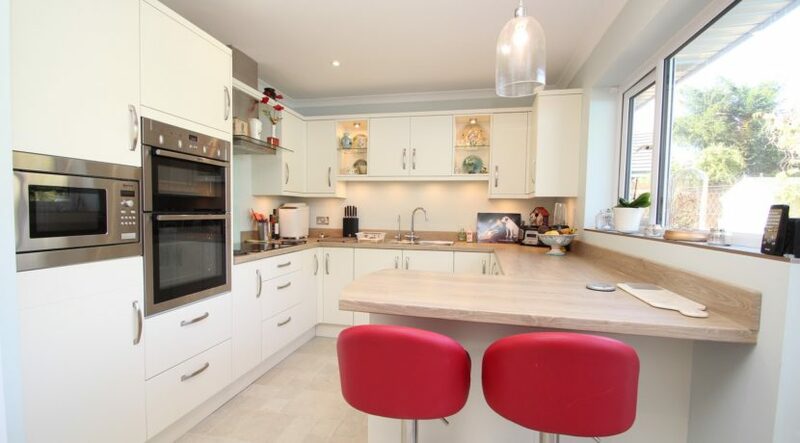 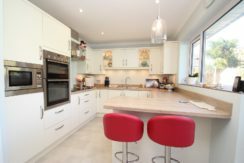 The kitchen has been beautifully re-fitted with a modern range of wall mounted and floor standing units which are surmounted by roll top work surfaces. 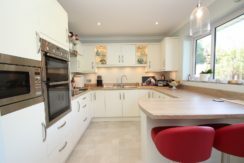 There’s a built in Neff microwave, double oven and induction hob, an inset stainless steel one and a half bowl sink unit with mixer taps and a side drainer, plumbing for a water softening unit under the sink, breakfast bar and there’s direct access out to the rear garden via a UPVC double glazed casement door. 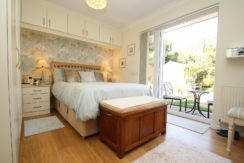 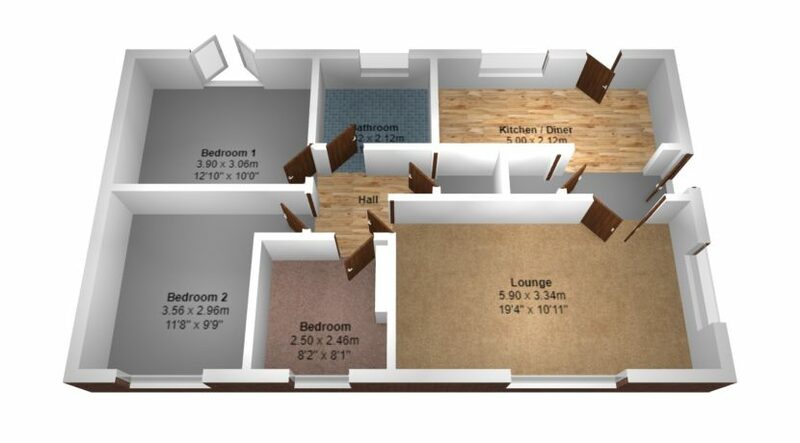 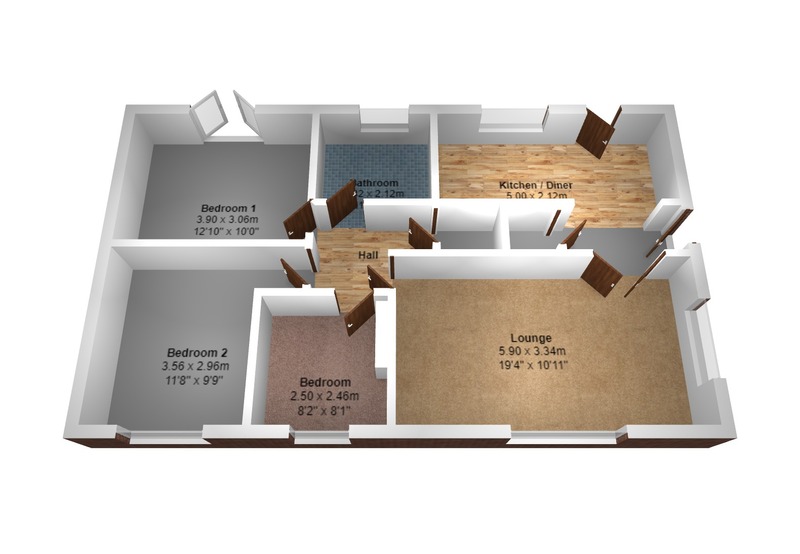 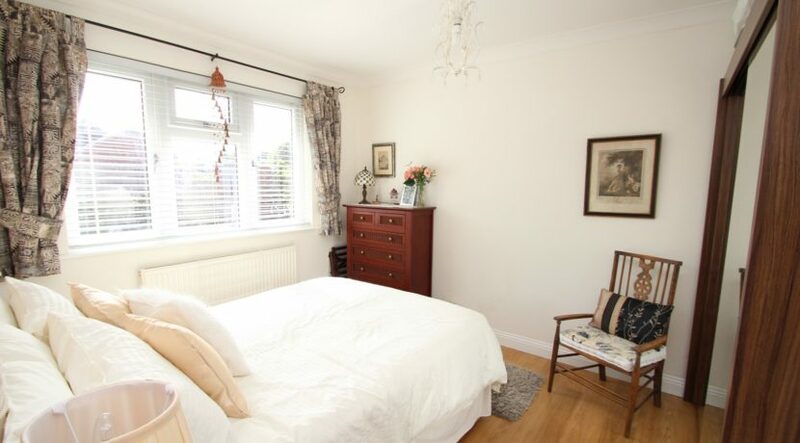 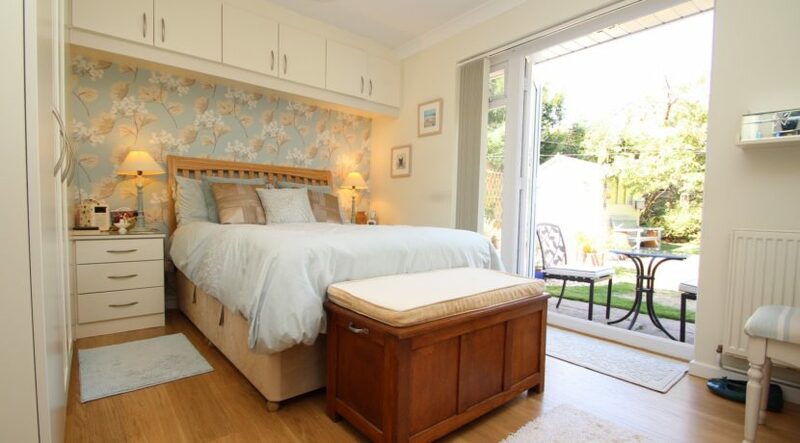 The main bedroom is a good size double room with a good range of bespoke fitted bedroom furniture. 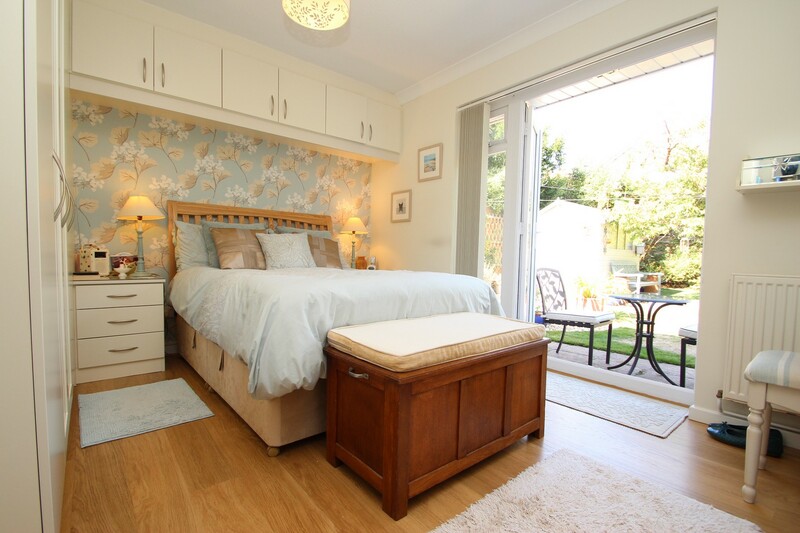 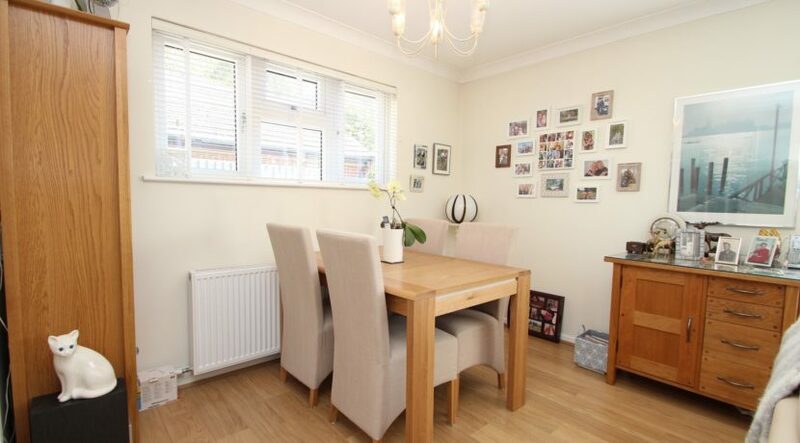 Double opening, double glazed casement doors open out to the rear garden. Bedroom two is also a good size double room, with a full length mirrored sliding wardrobe and overlooks the front aspect. 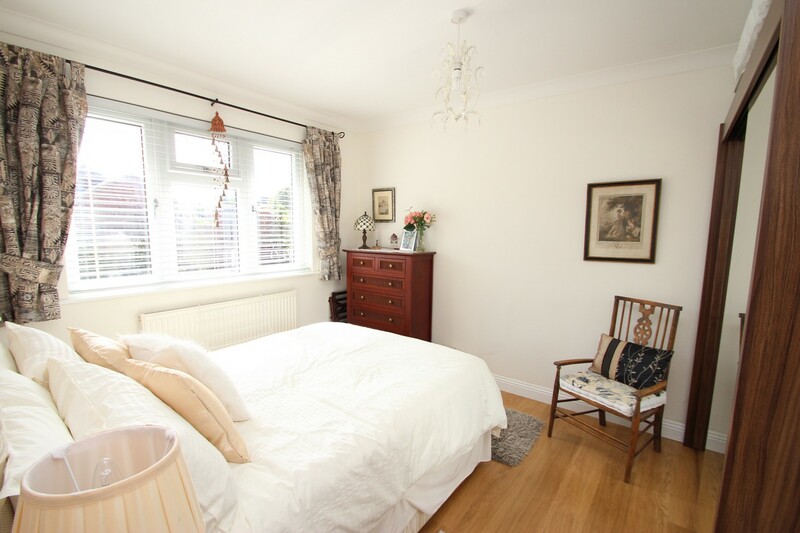 Bedroom three is a single room, which could be used as an office/study and also overlooks the front aspect. 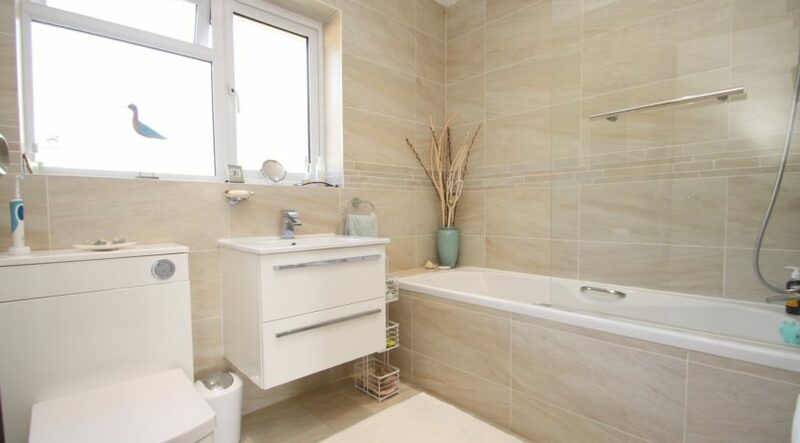 The bathroom is beautifully appointed with fully tiled walls, paneled bath with mixer taps, shower attachment above and a glazed shower screen, close coupled wc and a wash hand basin is mounted into shelving with storage cupboards beneath. 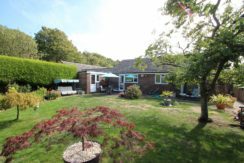 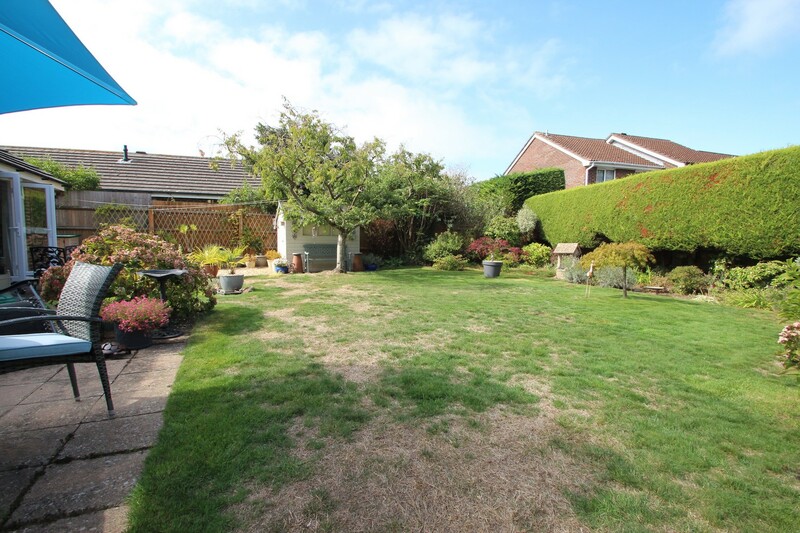 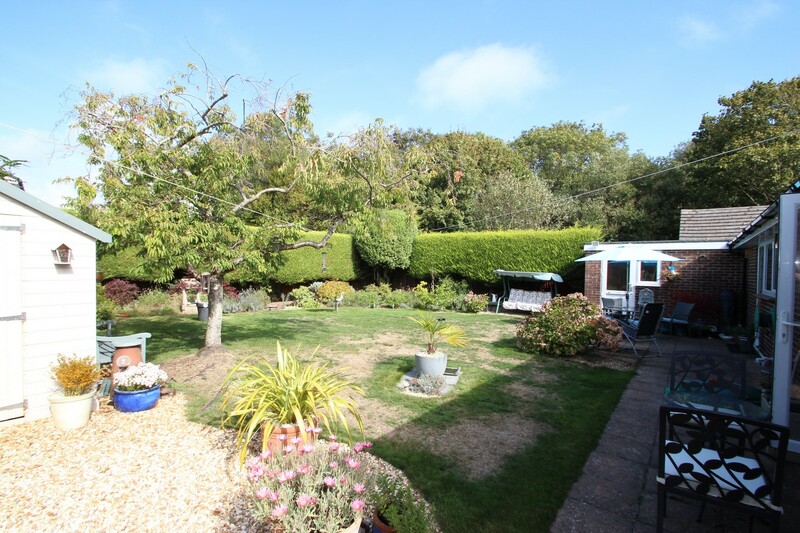 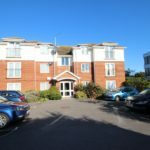 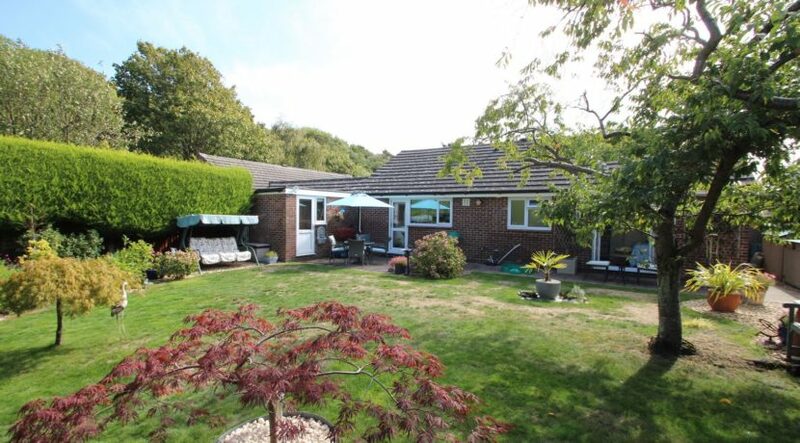 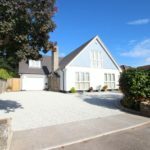 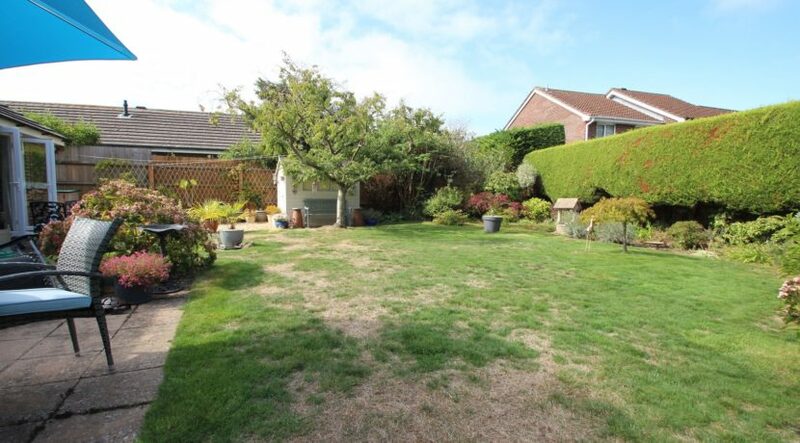 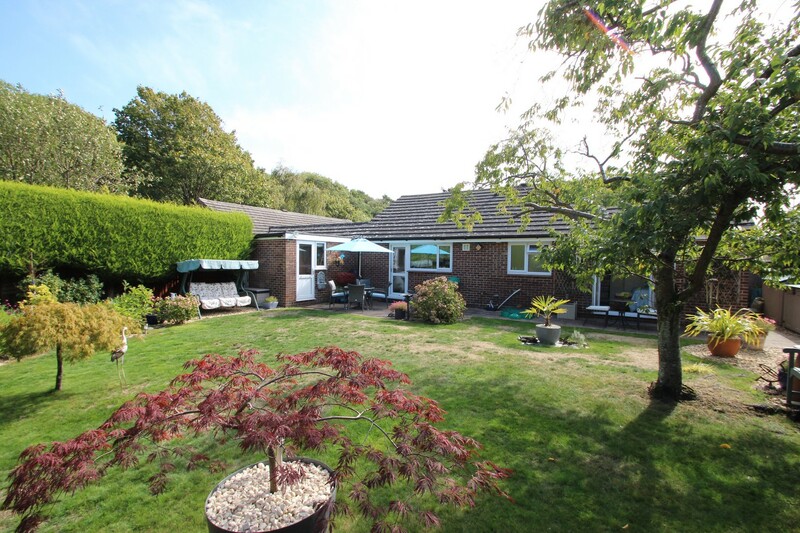 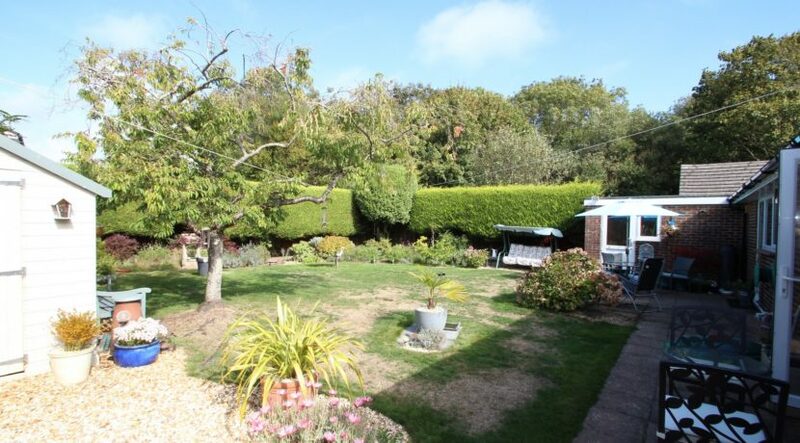 The rear garden is of an extremely good size with a patio area adjoining the back of the bungalow and leading onto the garden, which is laid to lawn. 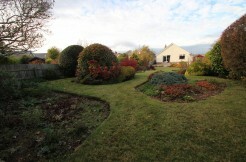 There are side and rear shaped borders which display a mature and colourful variety of plants and shrubs. 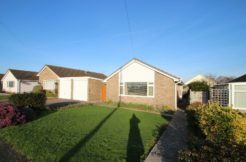 There’s rear access into the garage, and access down one side of the bungalow leading out to the front garden via a lockable timber gate.